2/3 br McFarland home - gorgeous updates! Today's blog features the village of McFarland, Wisconsin and it's classic homes and friendly community. With a population of nearly 7,500 and location just a few miles south of Madison, McFarland offers a small town feel, but with all the benefits of a metropolitan area. Near gorgeous Lake Waubesa and numerous area parks, McFarland boasts countless recreational opportunities like fishing, boating, picnicking, canoeing, hiking, swimming and biking. The thriving business community and variety of public organizations make McFarland, Wisconsin an ideal location for those seeking a friendly home environment and close proximity to Madison. 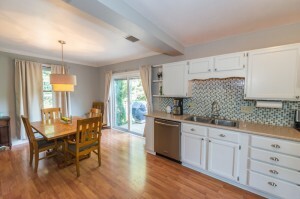 Updated Kitchen at 5404 Broadhead St.
McFarland homes are known for their charm and generous lot sizes. We at Ryan Koch Homes would like to introduce you to one of the loveliest McFarland, homes on the market: 5404 Broadhead St! At $169,900, this NEW LISTING is a 2/3 br gem!! The home features absolutely stunning updates throughout, including a full kitchen remodel, stylish renovations of both bathrooms, and a newly finished lower level. For additional photos and information on 5404 Broadhead St., CLICK HERE! 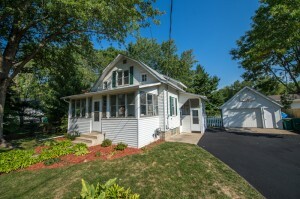 To view similar homes for sale in McFarland, Wisconsin, CLICK HERE! CLICK HERE to start your own search for homes in McFarland or throughout Wisconsin.